Location is good. Easy access with the public transport. Staff are friendly n helpful. The housekeeping ladies here are so cheerful and friendly. The staff members were all accommodating! 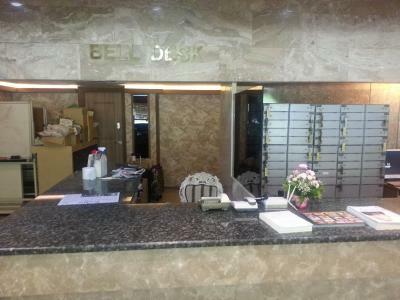 The hotel was affordable and provided a clean and comfortable stay. The Staff was awesome!! 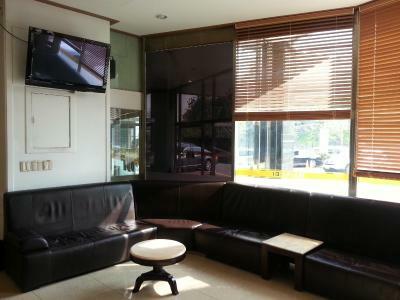 Great area walking distance from bars, clubs, post and Itaewon main strip! Great place to stay for the price and location. 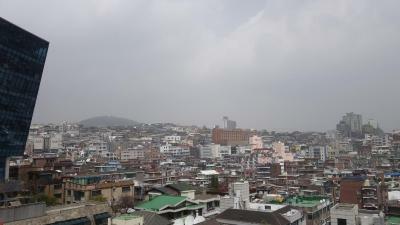 Close to Itaewan Seoul. 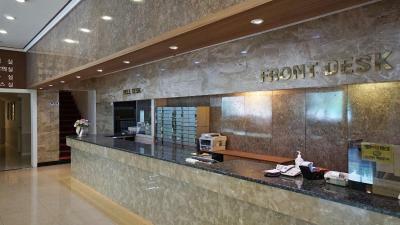 The staff was very friendly and helpful. The bed was fairly comfortable. The location was close to the strip. There were restaurants near by and it was easy to find. Location was about 8 min walk to he nearest subway. 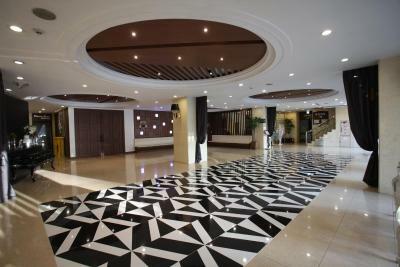 The hotel is nice and the room rate is affordable .. 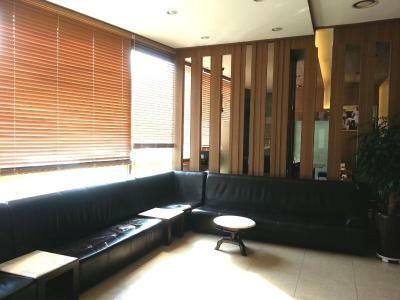 I admire the friendly staffs, they are accommodating and helpful..
Itaewon Crown Hotel This rating is a reflection of how the property compares to the industry standard when it comes to price, facilities and services available. It's based on a self-evaluation by the property. Use this rating to help choose your stay! 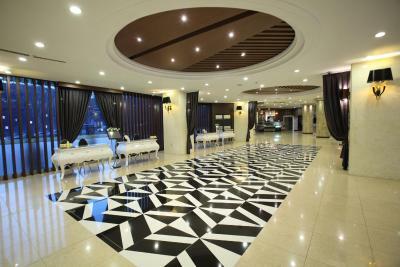 Itaewon Crown Hotel is located a 3-minute walk from the bustling Itaewon Street, full of restaurants, pubs, clubs and shops. 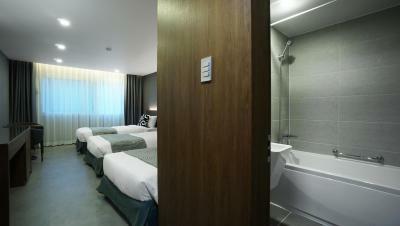 The hotel features an in-house sauna facilities, massage services and complimentary WiFi access. 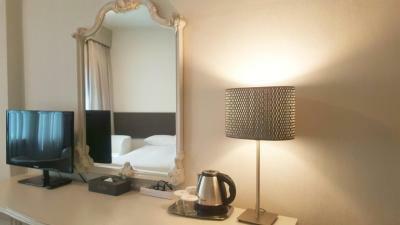 Rooms are equipped with air-conditioning and heating systems, a TV and an private bathroom with bath and shower facilities. 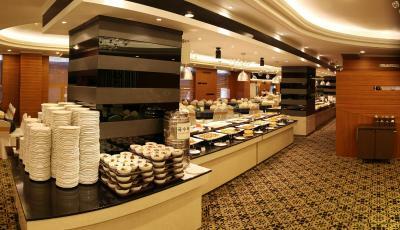 Guests can have a breakfast buffet at the dining area at an extra charge. 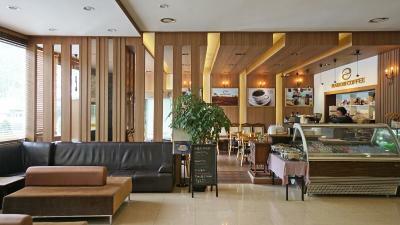 A la carte delights are offered until late in the evening at Coffee Shop. 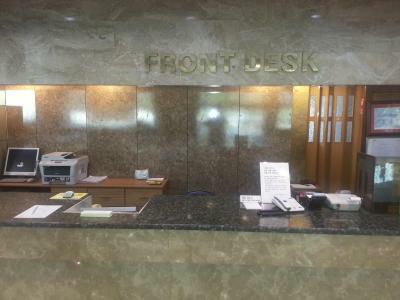 Staff at the 24-hour front desk can assist with luggage storage and laundry services. Free private parking spaces are available. 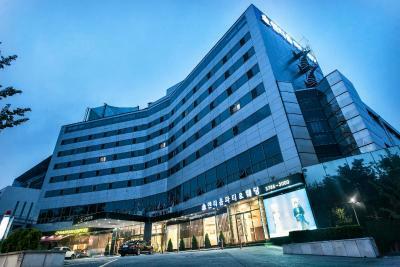 The hotel is a 5-minute walk from Noksapyeong Subway Station (Line 6) and an 8-minute walk from Itaewon Subway Station (Line 6). N Seoul Tower is a 5-minute drive away. 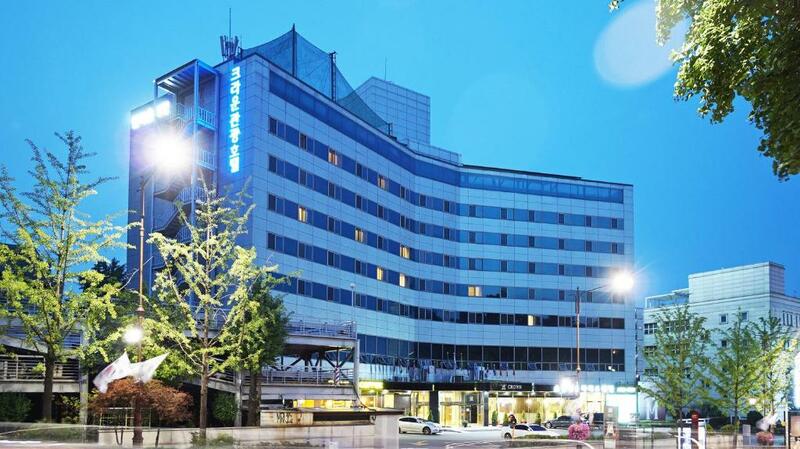 Seoul Station is a 9-minute drive away, where guests can take the KTX, train and airport express train. When would you like to stay at Itaewon Crown Hotel? Finished with hardwood flooring, this room comes with a TV, a dressing table and a seating area with a coffee table. Private bathroom includes both a bath and a shower. 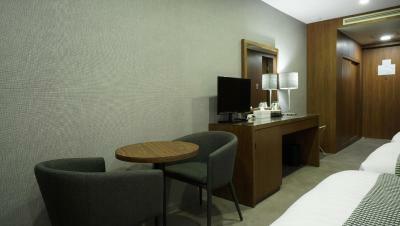 This room comes with a TV, a dressing table and a seating area with a coffee table. Private bathroom includes both a bath and a shower. 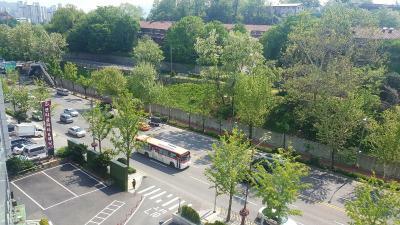 Hotel surroundings – This neighborhood is a great choice for travelers interested in convenient public transportation, sightseeing and culture – Check location Good location – show map Guests loved walking around the neighborhood! 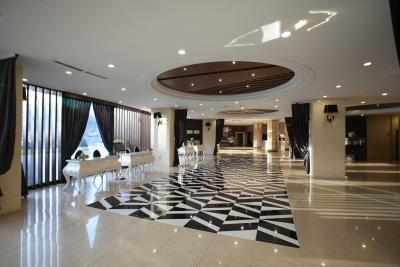 House Rules Itaewon Crown Hotel takes special requests – add in the next step! 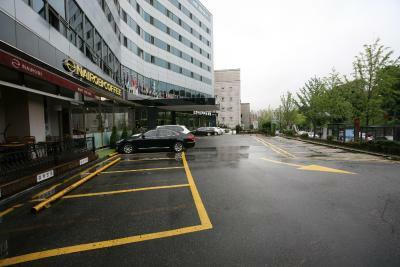 Itaewon Crown Hotel accepts these cards and reserves the right to temporarily hold an amount prior to arrival. At check in, they don’t give you many instructions about how to get to your room, specially if you are in the Annex rooms which are located in the building next door and the lifts are behind some lockers. Probably this is due to the language barrier. Twin beds are extra small! Location is good. 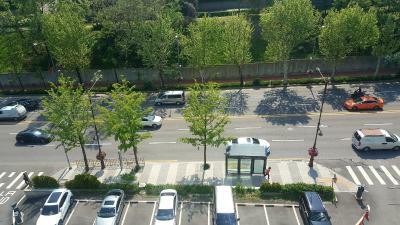 Near to Itaewon party district but far enough to don’t be bothered with noise. 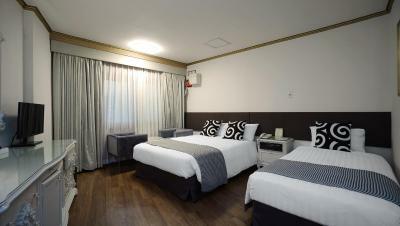 Walking distance to Itaewon Station (if you don’t have to many bags). 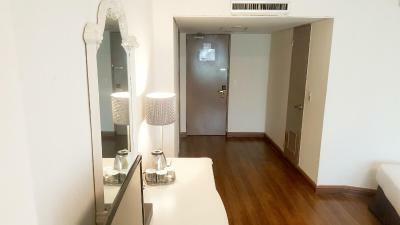 The room in the picture on the website...is not the room I received. 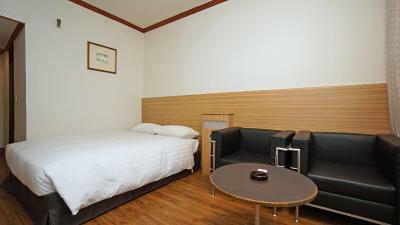 Nice room, comfy bed. Had to get a place for the night after ny electrics failed and this was a good price. Quiet as well which is a plus so you didn't get woken up by early morning traffic. I arrived at 12:00 noon. they mede. me ( and others ) wait till 2:00 to go into the rooms. I was disappointed to see no toothbrush or toothpaste being provided (I mean, this isn't a budget hotel or hostel) and some drinks other than plain water. The location was great! 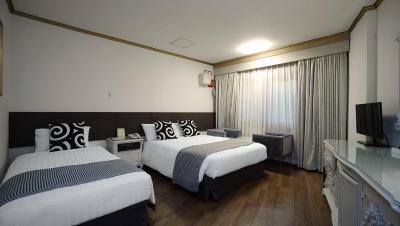 8-10 mins away from the main Itaewon strip. It's a proper hotel.. though quite dated. I was a little surprised to see no toothbrushes or toothpaste being provided, nor were there any sachets of green tea or coffee. Quite minimum. The pillows on the bed do not give enough neck support, but it was comfy enough. I really liked that they provided bigger towels.. just FYI that Koreans use smaller hand towels to dry themselves, and those are usually provided in most of the hotels but just isn't what most foreigners are used to. The big towels was great to have and the toilet was clean and the beds clean! 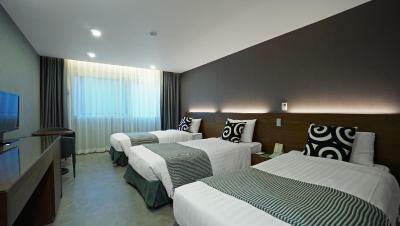 The room facilities n cleanliness need improvement. 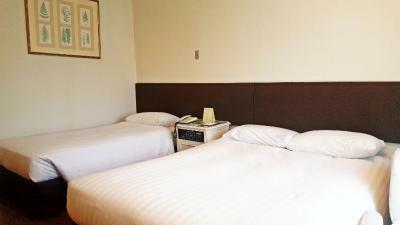 Great accomodation with very cozy and clean rooms, a friendly and helpful staff and perfect location near Itaewon Station! Perfect! I paid about $100 USD instead of the standard rate. The furniture did not meet my expectations for a room that I paid $100 for. The price was to high for the type of room I received.